Property Insurance. 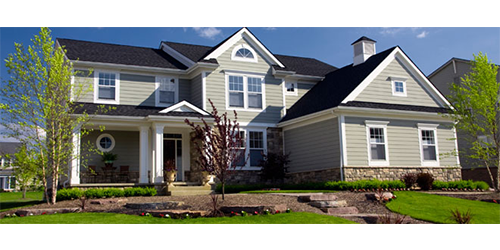 Your home is most likely your largest investment, and most homeowners know the importance of home insurance. What they don’t understand is the different types of property insurance coverages that are available and important to consider. Everyone thinks about water and wind damage as insurance concerns. Here in Lancaster County, lightning strikes commonly damage home water pumps and household appliances. And then there are those events that no one expects, or are less prepared to deal with — like accidents that happen when those do-it-yourself projects get out of hand, or when family and friends gather. Alltypes Insurance and Financial Services, Inc. offers Dwelling, Personal Property, Loss of Use, Detached Structures, Liability Insurance, Medical Payments to Others, Earthquake Insurance, Water backup, Identity Theft Insurance, Flood Replacement cost on home and contents — valuable items like antiques, fine art, jewelry and guns. Alltypes Insurance and Financial Services, Inc. has also provided a questionnaire/checklist that you can download, review and call us with any questions you may have. We think making this information available is an important service and a huge first step in helping you understanding a little more about your home insurance coverage needs. Our professional agents are ready to talk to you. Call us today to make an appointment. We’ll work around your schedule, not ours. Call Amanda or Tina at 717.786.2523. Or, email either Amanda@alltypes-insurance.com or Tina@alltypes-insurance.com. They can answer your questions or help you make the right coverage choices. Amanda Johnson has been assisting clients since 1999. Tina Boyd has been serving customers since 2017.